Dennis O'Leary is our mobile saddle fitter and Master Saddler. Operating a mobile saddle fitting and adjustment service throughout Hampshire, surrounding counties and the Isle of Wight, Dennis is able to bring out a great selection of new saddles. Offering friendly, approachable and professional advice tailored to you and your horse, Dennis has advised and fitted saddles for novice and professional riders of all ages, in many disciplines over many years. 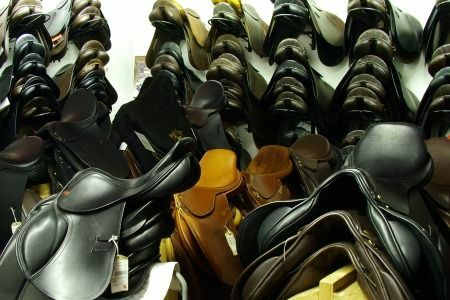 Norris and Sons are pleased to be able to offer a range of saddles from Kent and Masters Monarch and Thorowgood. Saddles also available to template. We happily visit individuals at home or arrange a group check at your yard. Dennis is able to conveniently flock and repair your saddle at your yard. Major repairs for boots and harness are undertaken in his work shop at Norris and Sons. Here he offers a highly skilled, made to measure service, popular for special bridles, headcollars, dog leads and even vintage car luggage straps! 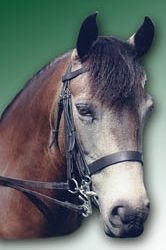 We look forward to meeting you and your horse and helping you both achieve a comfortable and harmonious riding experience.